We offer flexible pricing - contact us for more information! Ideanote was born to make ideas matter. 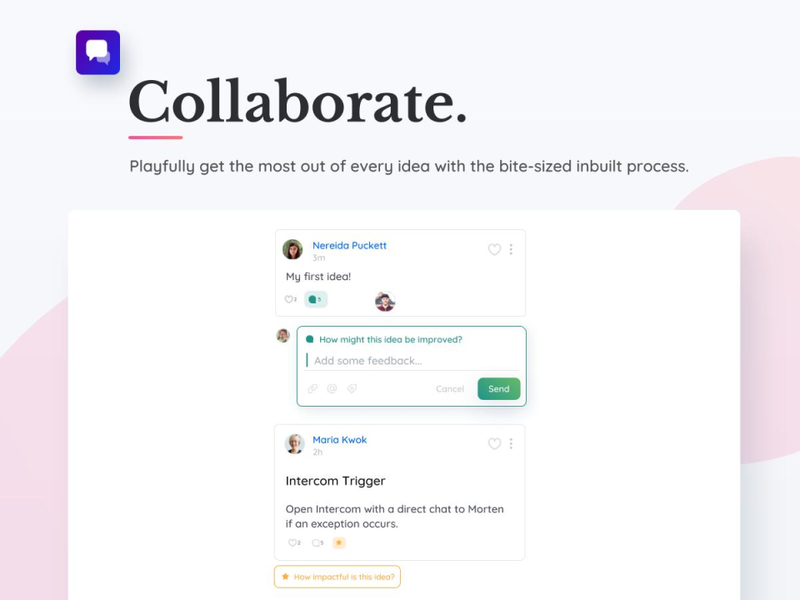 Capture ideas with structure by launching powerful goal-oriented idea collections in seconds. Collaborate across teams with a streamlined process that makes sure you get the most out of every idea. 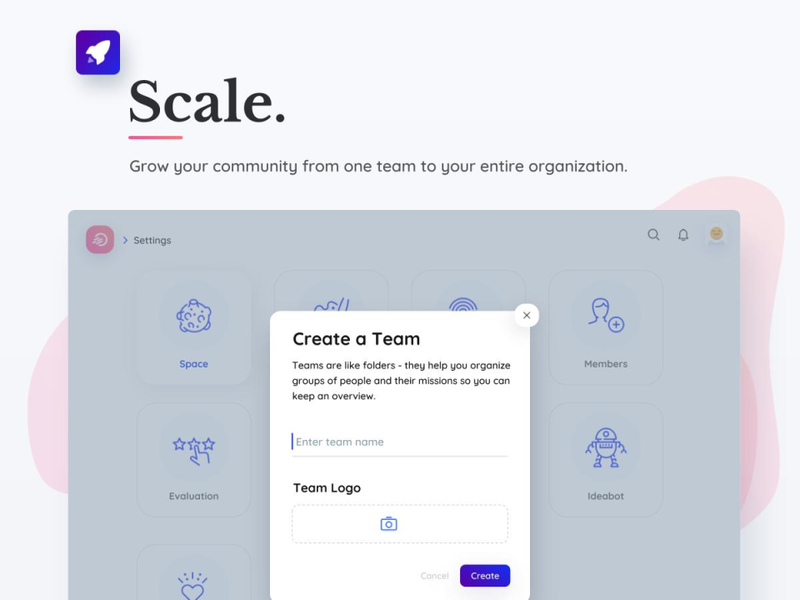 Grow your community with a scalable platform built to engage. 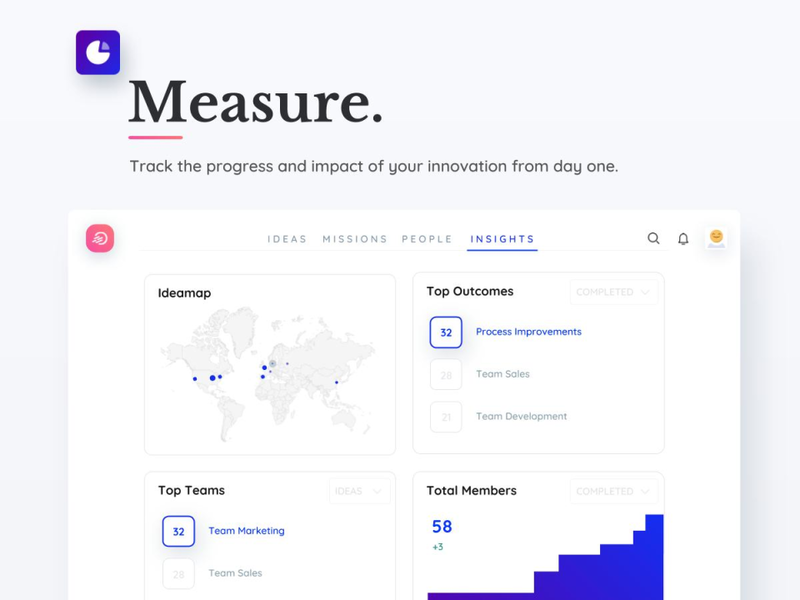 Measure your innovation by tracking engagement and the impact of your completed ideas. We offer a free plan and cloud-based subscription plans with flat fees ranging from $50 to $1650 per month. Organising ideation and driving profitable change! Comments: I have been following Ideanote since its earliest days and I am amazed of its functionality. I have experienced the tool bring value on several levels; First of all, it has helped companies discover actionable ideas which has led them to qualify solutions before they began testing and implementing them. Secondly, several of their clients have been successful in rallying their teams behind very specific challenges. This has proven as a solid method for creating internal engagement, especially from parts of their teams which would not usually participate in innovation processes. Comments: Ideanote IS Facebook for ideas, really. Ideanote is excellent for quick onboarding of users, and is a no-frills, easy-to-setup program that ise ready to run in minutes, literally. It is a great tool to engage and onboard users at all levels. I have used it more than 10 times now in various configurations, and it works! And the customer service is really, really marvellous. These guys know what they are doing, and love what they are doing! Comments: Ideanote almost produces too many ideas. It democratizes an organization's ability to collect ideas and motivates to sharing ideas while also helping the organization to filtrate and qualify them. Ideanote's customer support team is phenomenal and the product is extremely easy to use. And Ideanote is not just about generating ideas. It is about creating an innovation culture and guiding open and curious mindsets among employees. Pros: The Ideanote app is a great way to engage employees and staff to share ideas. It has helped bring a freshness to our organization since people can express latent creativity. Its great that it is free! Cons: There is nothing that I do not like about this software. It is very fun to use and I love that it is also easy to use. Overall: Great way to share ideas and get the team engaged. Comments: Ideanote challenges all colleagues to come up with bright ideas and helps us go through them in a structured manner. This ensures that no golden opportunities are left on the table - no matter from where in the organization the ideas the idea comes, it finds a way through peer review to implementation. Comments: Ideanote challenges your company to create better ideas, and ultimately better solutions. 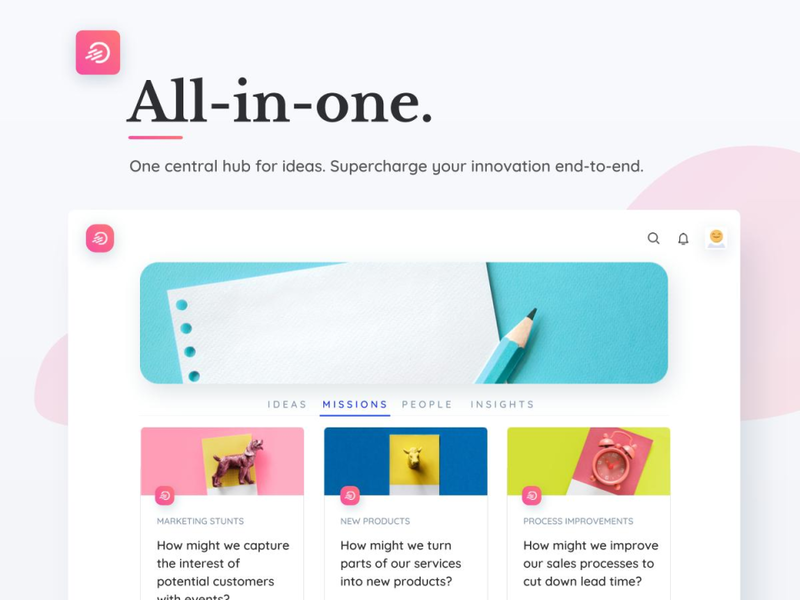 Getting everyone to stay on the ball and chip in with their thoughts and ideas is no small feat, and this is what Ideanote does better than any other. Comments: Ideanote allows you to make better use of the ideas of your employees. We've had a good initial experience with our team and can greatly recommend it to other organisations interested in crowdsourcing and curating innovation. Comments: It's a very good platform to use. If you wish to gather ideers and bring forward the creativity in ur company, this platform is a must have. Thanks a lot Karina, we love all the create feedback you've given us. 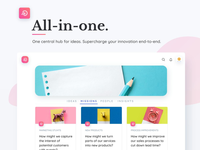 Comments: Ideanote is probably the most engaging and fun Innovation management software out there. I would recommend it for SMB's primarily. Cons: I couldn't see android app, I would be better if there is elegant app, so we wouldn't be bothered to login thru browser while on the go.